Returns to the UK following his winter exploits at Meydan, winning on one occasion back in January for the Excel Racing Syndicate - including Southampton striker Charlie Austin. Seems to go well fresh so had a short break since his last outing, and usually picks up a win every so often. Top contest in a big field, and worthy place advocate. Only seen three times on the racecourse last season, and progressed into a fine individual. Made his return after almost a year off the track at Haydock when collecting a nice Class Two Handicap easily, two months before a 7f handicap at the Galway Festival. Out of contention in the Balmoral Handicap on Champions Day, but plenty of these were down the field that day. The perfect start for him here. Heavily campaigned last season; racing twenty-five times and collecting three wins - including in a Group Three in Italy. Always has his day in the sun, but wants the quickest ground possible to bounce off. Sixth on reappearance to Zwayyan in a Trial at Wolverhampton, and he has always faired better on the turf rather than the All-weather. Johnston also trains the 4yo chestnut Aquarium - who is another individual that has been sent internationally to warm up for the season at hand. Failed in three attempts at Meydan, before a much better fifth on return to the UK at Wolverhampton three weeks ago. Ran on stoutly in the closing stages, but will need to negotiate a higher draw here. Last year's Champion Jockey Silvestre De Sousa begins his new season in the UK with his new partnership with King Power Racing, on board a horse who won an invaluable Trial for this on the All-weather not too long ago. Big fields seem to get the better of him - Balmoral/Cambridgeshire Handicaps, but has plenty of talent after victory at Chelmsford in September, and a close second at Ascot. Best drawn on the pack, and top jock as mentioned on board. The favourite; and shortening all the time, progressed nicely last year as a three-year-old for a stable and jockey who had a year to saviour. No run as a two-year-old finally saw him make his first start last summer when finishing a good second on debut at Newmarket. Went onto land a hat-trick of wins at Kempton later in the season after rising through the classes, and now finds himself in top company and more significantly ahead of the handicapper it would seem. Recently moved to Adrian McGuinness' yard from Ireland, and did not finish in single figures in any of the three final appearances of the season - including the Royal Hunt Cup at Royal Ascot won by Settle For Bay. 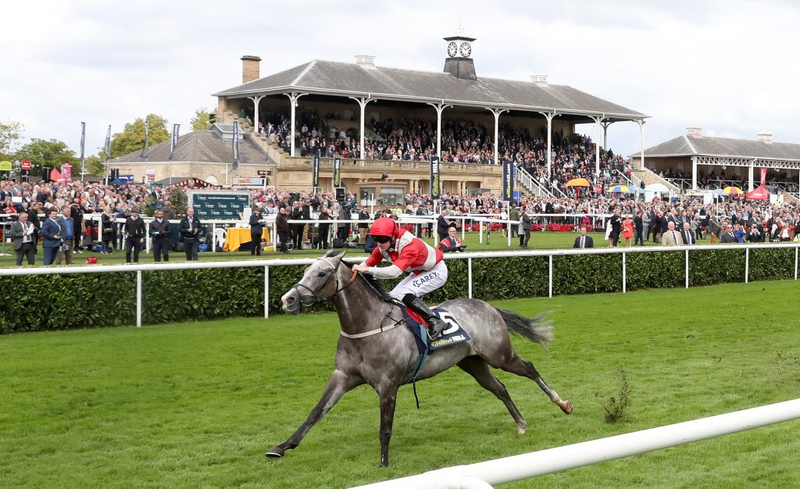 However, he has been the subject of a lot of money in recent days having been off the track for a little while now, and you can never ignore gambles having reviewed the history of this race. Philip Kirby is in stunning form of late on the flat or over jumps, with seven winners at the time of writing in the last fortnight. This horse was last seen finishing halfway down the field in the Balmoral Handicap at Ascot, capping of a generous season for connections, which included a decent second in a Class Two at Goodwood in September. Failed to get his head in front in seven attempts and that would be the concern. Archie Watson is represented with the applicably-named grey Silver Quartz, who has an eyecatching pedigree. A son of Frankel out of Rosamixa, he is a half-brother to plenty of Listed or higher winners (inc. Group Two), and has some smart form stacked in the book himself. Not always straight forward, he did get the upper hand over Zwayyan at Ascot in a Class Two Handicap last September, but work to do on his most recent display on the all-weather. Four victories last term - most notably at Ayr in September, before a good second at York in a similar bout. The first time he has really had a break since career started in England back in October 2017 - after moving from Kevin Prendergast's yard. Rose through the ranks, and hopefully plenty more to come. Drops back to a mile after a couple of efforts over ten furlongs - both of which well behind Wissahickon in a Listed contest, and the Group Three Winter Derby; both on the polytrack at Lingfield. Wintered well after a win at Kempton in a lower grade back in January, so splitting the two looks to provide a fair chance for him. Arrives here at his optimum, and has claims for a place. Enters another season now as a nine-year-old for his first start on Town Moor. Has had three goes on the All-weather this side of Christmas, meriting two second-placed finishes at Wolverhampton and Lingfield - the former behind Zwayyan in that trial previously referred to. Couple of smart successes on the turf last year - including at Newbury in August (similar track to Doncaster), and has a good chance to enhance his CV here. Winner of the Betway Spring Mile here back in 2015 as a four-year-old, but did not build on from that effort since returning from an unknown problem until October 2017. Second at Newbury twelve months after said date bodes well for a contest like this albeit over two furlongs more, and comes back from a couple of races over hurdles - second in a Handicap at Ascot and last to Mohaayed in a Grade Three at the same venue days before Christmas. Reverts back to the flat, and will be a big ask back here. If this contest was ran at Ascot, I'm sure Ripp Orf would be a much shorter price in the market. His record at the Berkshire venue speaks for itself - four outings, two wins, a second and a third. Elsewhere, he has found life a bit harder a little harder but usually runs rather consistently. Has work to do on last uncharacteristical appearance which was here back in October, but tired legs may have come to the fore that day. Fifth in the Balmoral Handicap at Ascot in October bodes best of these runners bar the top one Another Batt. Sixth in the Cambridgeshire to the smart Wissahickon who has gone onto to bigger and better things, along with a notable second to Poet's Society at York - which pronounced Mark Johnston as the winning most trainer in the sport's history. Has good form with Chiefofchiefs along with many of these, and not one to discount. Keep your eye on a late run. Gained the fitness and sharpness he required on his return at Wolverhampton, and remains off the same mark for this. Not the best of runs on paper in 2018 - went close with Juanito Chico at the Epsom Derby meeting in a Class Two Handicap, which is probably the best it really got for this 5yo grey owned by Al Shaqab. Both career victories have come on the all-weather, and the ground will surely be far quicker here for his liking. Ontoawinner Syndicate have had some smart individuals in the last twelve months - and picked up a nice winner at Kempton on Wednesday night in the shape of Moment Of Hope on debut. This horse has been unplaced on his last two starts at Ascot in October, and needs to improve on his poor effort in a Group Two at this course back in September. Last victories came in June and July of 2017 so plenty of work to do. Notable front-runner from a good draw seems to have got things his way in the preliminaries. Goes well fresh and will love the ground, he was second to High Acclaim in the Spring Mile at the same meeting twelve months ago - ahead of Kynren. Went close again when second to a well-backed favourite at Newbury, before eventually getting his head in front at Newcastle. This is his time of year, and this is his time to shine. Third Time Lucky will look to build on his third-placed finish on his only start in 2019 to date, which was in the trial for this event at Wolverhampton. Finished last year with a good second in this grade category at Leicester, and won a nice race on the Knavesmire in July albeit in a lower grade. Needs to step up here to produce his best. Course and distance winner from October 2017, and has succeeded smartly at Hamilton and Ayr since. Seems a hard horse to follow and never really goes onto use his momentum when stepping up to the top band. This - although a Class Two, is a top contest and there will be no room for error here whatsoever. Trips to Meydan did not work out, and time for his feet to return to the ground. Fairly low mileage for this four-year-old, who has not been vigorously campaigned by any stretch of the imagination. Off since closing the season fifth at Lingfield on the artificial surface, but best form came on the turn at Newmarket in Class Ones. Not overally written off, but high draw to come out of. Right at the foot of the weights is Beringer, for a jockey who absolutely loves this course. Hit and miss with a few efforts last term; this son of Sea The Stars has ruled supreme in a couple of races last summer at Sandown and Leicester, but the rise in Class has certainly got the better of him. Looking to the start the season off with a flyer - a place would be a healthy result.